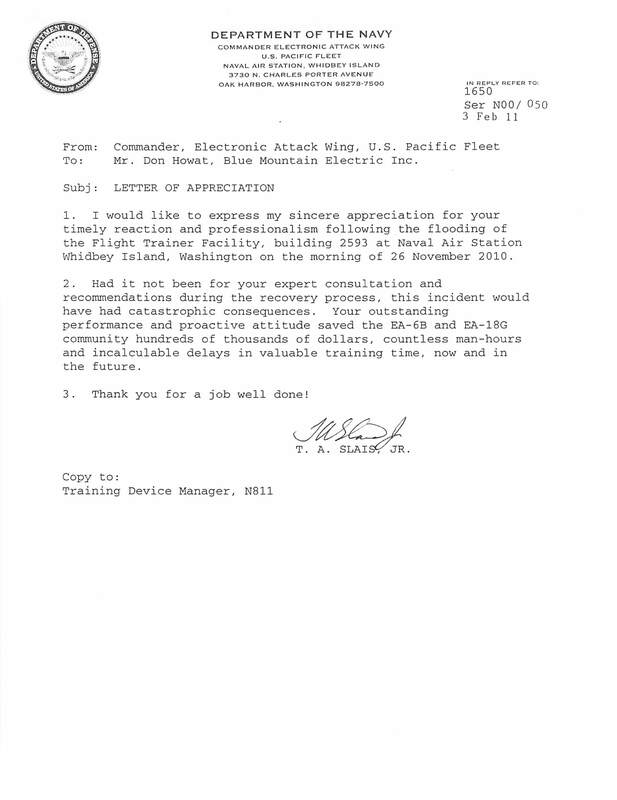 In November of 2010 the EA-18G flight simulator at NAS Whidbey Island was flooded. 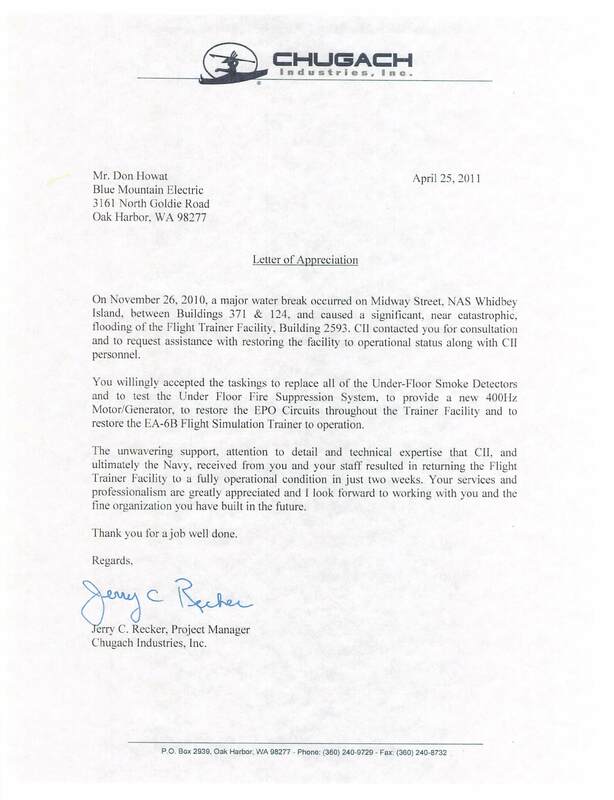 BME supported Chugach Industries in the recovery effort. BME electricians worked long hours to replaced fire alarm systems. Electrical cabling and devices were each openeded, checked, and dried or replaced. Grounding systems were repaired and replaced. Since BME had previously installed much of existing fire alarm and electrical systems, Chugach relied on BME in a consulting capacity to provide lock-out tag-out of electrical systems in the building while restoration and cleaning was performed. BME received the letters below after the project was completed.